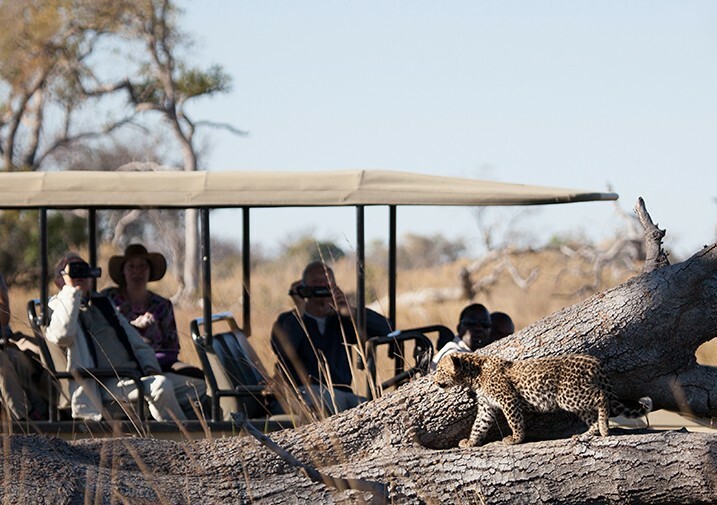 Leopard sightings on game drives are a frequent occurrence at Pom Pom Camp as over 4 leopards have their home range in this iconic Okavango concession area. 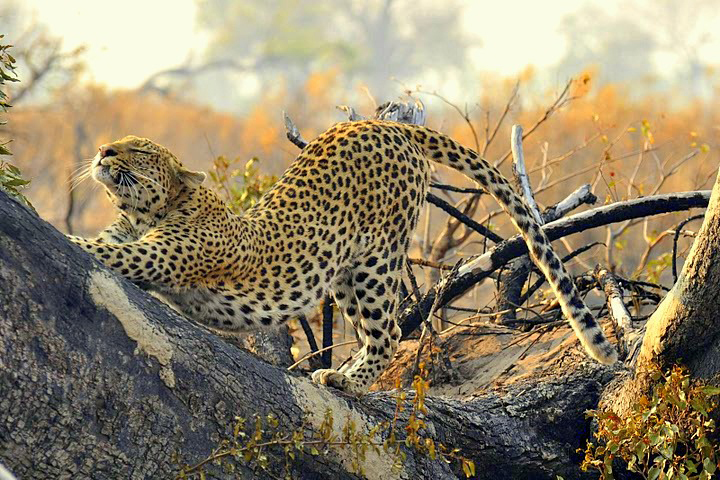 Guests were recently being treated to several up-close and long encounters with the youngest addition to Pom Pom’s “Leap of Leopards” – a fluffy, playful and inquisitive leopard cub practicing its climbing skills on a large fallen tree. 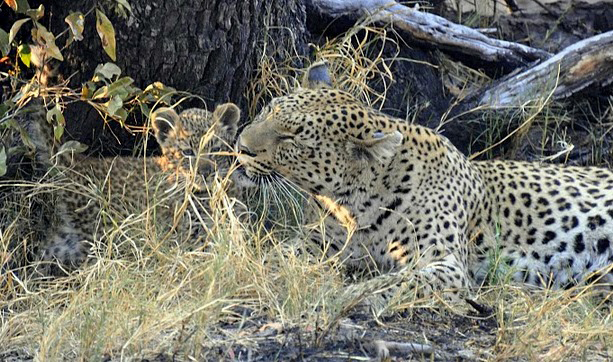 Having mastered this elementary skill satisfactorily, later that week guests spotted the cub again – high up in a tree with its proud and protective mother. Pom Pom Camp, renowned for its idyllic Okavango setting and amiable nostalgic safari ambiance, offers all-year-round mokoro excursions, walks, sublime fishing trips with sun-downers on Pom Pom Lagoon and waterways and off-road game drives which provide superb close-up photographic angles for those highly-prized wildlife photos. Recently Pom Pom introduced ‘dining in the wild’ – lantern-lit bush dinners with sundowners around a roaring campfire at its new dedicated ‘bush dining’ site. Under a star-spangled sky and to the sounds of the Okavango Delta up to 8 guests can enjoy a delectable 3-course dinner accompanied by fine wine.